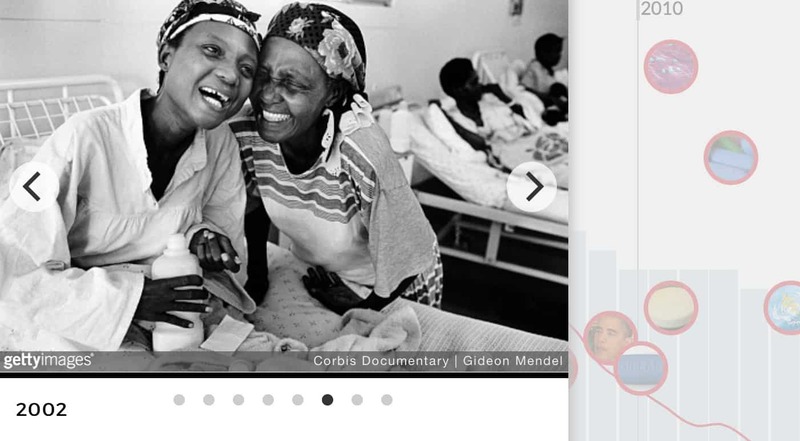 AVERT are an HIV and AIDS education charity who have been at the forefront of the HIV response since 1986. 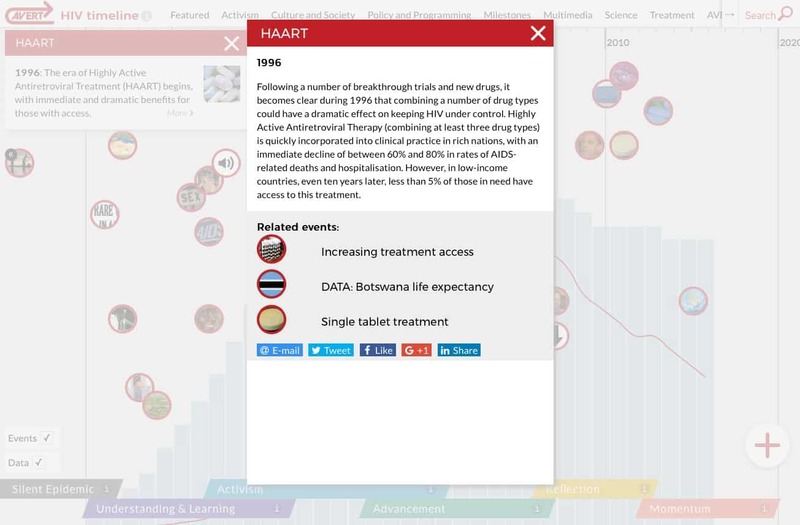 To mark the 35th anniversary of the first published reports of the HIV epidemic, AVERT asked us to produce an interactive timeline to chronicle key events and milestones. 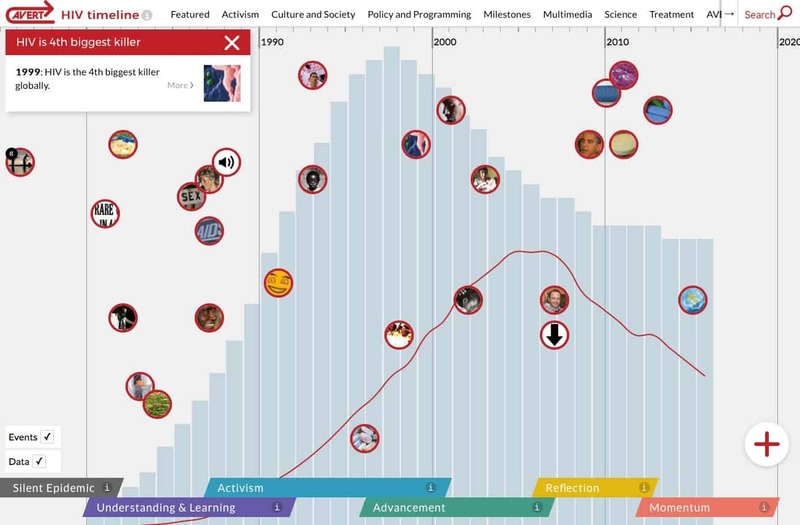 Using our experience of interactive timelines and data presentation, we designed and developed a living resource which is now content managed by AVERT staff. 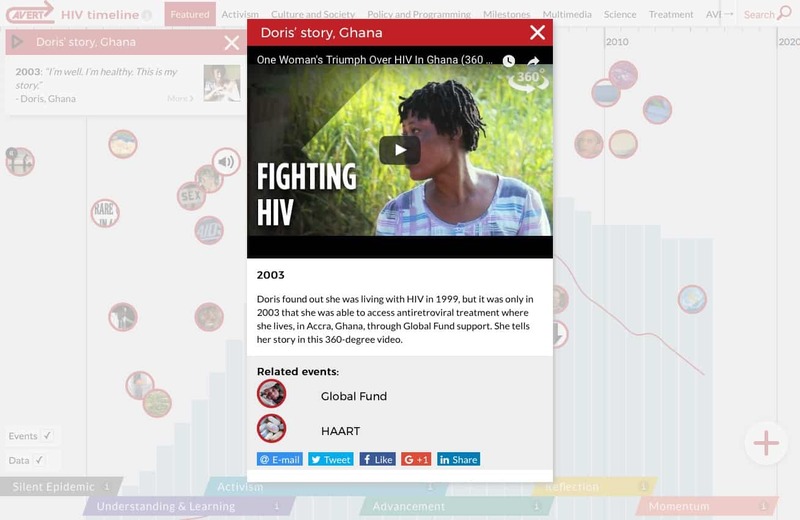 Key considerations for the development including how to present and layer large amounts of both qualitative and quantitative data, how to incorporate multiple types of media and how best to integrate it with AVERT’s Drupal based website. The final outcome allows the user to filter the content to adjust what and how data is presented, pop-up windows present initial information without diverting from the main timeline and it is smoothly integrated within the website pages.